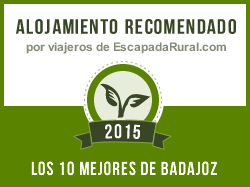 The cottage is located 2 km far away from the urban core of Esparragalejo and less than 10 km from the city of Mérida. The motorway Madrid-Badajoz-Lisboa and the road of Cáceres is 9 km far away. In the surroundings are the localities of La Garrocilla and Montijo. To get in to the cottage you have to get into the village of Esparragalejo and follow the direction of the Hermitage of the Health and Charca de Los Galgos. The cottage is located in a region of big ecological value. 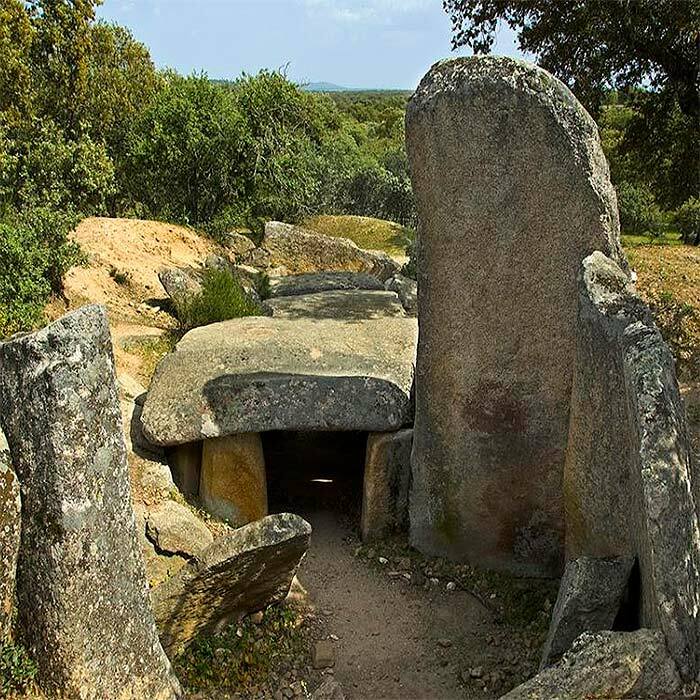 It is located at the top of a slope where you can see big meadows of oaks, kermes oak and granitic formations, building the unrepeatable landscape of the meadow of Extremadura. You also can watch the city of Merida, the mountain chain of Serván, the mountain chain of San Pedro, close village of Esparragalejo, the meadow of Guadiana and the region of Lácara. The light, the sun and the landscape of Extremadure are inside of any corner of the house. Basically the touristic activity that is offered is the lodging, breakfast and meals service; laundry service and selling of handmade products; this through the full hiring of the house of by bedrooms. 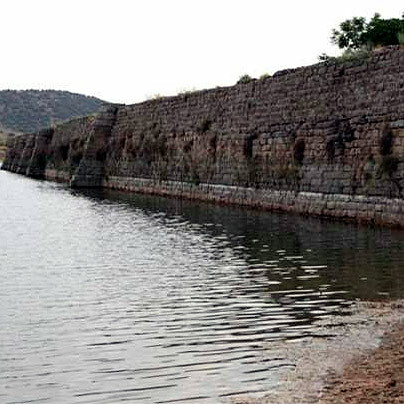 Fishing in the close ponds of “Esparragalejo” and “Los Galgos” as well as the close reservoir of “Los Canchales”. Hiking. The Hermitage of the Health is in the surroundings, patron saint of Esparragalejo, village which is the cottage. 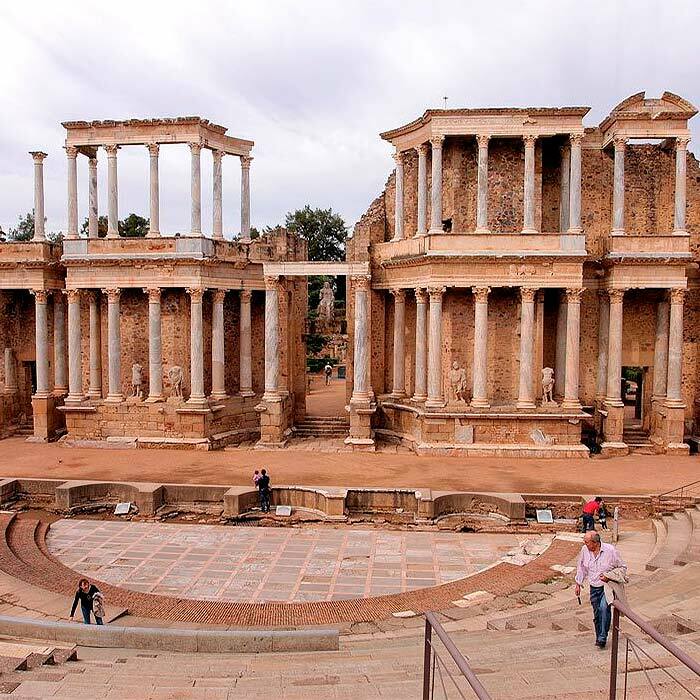 Guided visits to the monumental city of Merida, the close cities of Cáceres and Trujillo, the region of Lacara and any other interesting touristic spot of the region. Visits to craftsmen, wineries and industries are also made. Environmental activities, knowledge and watching of autochthone flora and fauna, you can watch vultures, storks… being the landscape where the cottage is, an area of cranes.